Child language development is one of the most crucial fields of human communication sciences. Despite the big amount of tests currently used from professionals around the world the Greek language is one of the least researched languages specifics in the field of human communication. The “Test of Receptive and Expressive Language Abilities” (TRELA) (Vogindroukas, Grigoriadou 2009) is one of the attempts of creating a test for evaluating the language and communication difficulties. Aim of this study is to determine how developed is the language in terms of personal pronouns (subjective and objective forms) and possessive pronouns as well as in pragmatic abilities in the preschool age. Our findings indicate that children score better in subjective cases of personal pronouns than in objective forms. Regarding pragmatic abilities children present difficulties in specific social situations. Tests such as TRELA are very useful in every language for every specialist deals with development of language. Their use gives specialists the opportunity to evaluate the development of language for each child and to plan the therapeutic program, accordingly. TRELA consists of an evaluation test for children with language and communication difficulties. Goal of the test is to determine the impairments in the development of language in children with communication disorders and use the results in order to plan the most precise and individualized therapeutic schedule for each child. The structure of the test follows the developmental stages of language in typically developing children and it consists of six developmental parts. The last two parts of TRELA are focused in the Early Grammar stage and the Advance Grammar stage. These two focus on the specific features of Greek Grammar and on the fields of language that are regarded as pragmatics abilities and narratives. In terms of personal and possessive pronouns there are no other studies in Greek language to compare with. In English language, studies in typical children are many years ago (Charney 1980) despite that many studies have been conducted in groups with a specific impairment such as autism. Regarding pragmatic abilities in Greek language there are two studies focus on the preschool age of development (Nisioti 1994, Vogindroukas2002). Moreover the four social situations of TRELA is the first attempt of evaluating pragmatic abilities in Greek language with pictures more common to Greek preschoolers. The present study examines how advanced is the use of personal and possessive pronouns in ages between 5 and 6 years old and how developed are the pragmatic abilities in this range of age. Besides pronoun mastery demands a knowledge of speech roles and an ability to identify oneself and others in those roles. (Charney 1980) The study conducted from four Speech and Language Therapists (SLTs) and participants were recruited through kindergartens in region of Epirus and Macedonia in Greece. Inclusion criteria for participants were: 1) age between 4.11 and 6 years old and 2) consent forms from parents and teachers where they don’t seem to appear with any developmental or sensory disorders through to clinical observation and parental and teacher information. All participants first asked if they would like to take part in the study and only after they agreed the assessment took place. The study obtained ethical approval by the Organization for Social Protection and Preschool Education from the City Council of Ioannina, Kastoria and Thessaloniki. The parts of TRELA examined the comprehension and expression of pronouns. Set of four pictures are used each time for each of the below personal pronouns (subjective and objective forms): he, she, they (masculine and feminine), him (there are two types in Greek language – του, τον-), her (there are two types in Greek language – της, την- ), theirs (masculine and feminine). Possessive pronouns – him, hers, theirs, mine and yours - have been examined in a pair of two pictures for each one of them. Lastly the pictures in pragmatic section appeared four different social situations. Those were “facial expression”, “request of an object”, “communication framework” and “social conventions”. Results are shown in three different tables for a better and clearer view of the rates between the answers of the children. 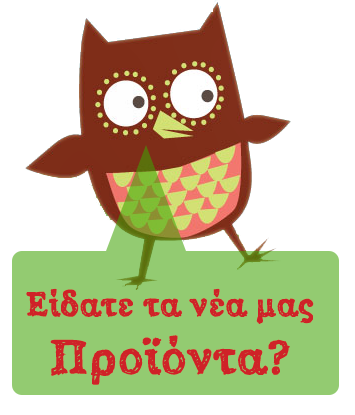 Results indicate that most of the problems in development of pronouns in Greek typical developing children in the age of 5 to 6 years old is in the expression of the personal pronouns and especially in the objective form. In possessive pronouns children have scored very high in both comprehension and expression except the low rate of “him” in the expression picture. Lastly in the pragmatics abilities scores indicate a strong difficulty in expressing the correct phrase in a specific communication framework where theory of mind should be apparent. psychology. University of Ioannina Greece. The primary objective of this study was to examine the development and usage of pronouns as well as pragmatic abilities in Greek preschoolers. Results indicate the difficulty of mastering in the objective case of personal pronouns and the pragmatic abilities in the preschool age. Rates of the study are very useful for all the specialists and teachers dealing with the Greek language, as they can know what to expect from children of that age. Biographical sketch: Dr Ioannis Vogindroukas is a Speech and Language Therapist at the Child Psychiatric Center of Psychiatric Hospital of Thessaloniki, Greece.He has completed a postgraduate studies in Autism at University of Birmingham UK, and did his doctoral studies at the University of Ioannina, Greece. He has published and presented nationally and internationally on topics of autism, pragmatics difficulties, language development, language delay. Disclosures: Ioannis Vogindroukas has no financial or non-financial relationships related to the content of the proposed session. Biographical sketch: Evripides Chelas is a Speech and Language Therapist, he has completed his undergraduate studies at the Institute of Technology, Ioannina, Greece and his MSc studies in City University London UK. He has been a research collaborator in many researches and also participating in many lectures and publications on issues of language development. Disclosures: Evripidis Chelas has no financial or non-financial relationships related to the content of the proposed session. Biographical sketch: Konstantinos Paparizos is a Speech and Language Therapist and he works in his own office in Kastoria and in Thessaloniki, Greece. He has completed his undergraduate studies at the Institute of Technology, Ioannina, Greece. He has presented nationally on topics of language development and he has participated in research on topics of language development, pragmatics difficulties, language delay. Disclosures: Konstantinos Paparizos has no financial or non-financial relationships related to the content of the proposed session. Biographical sketch: Eleni Kivrakidou is a Speech and Language Therapist. She works as a freelancer in the field of intervention at developmental disorders. She has been a research collaborator of the Department of Psychoacoustics of the University General Hospital of Thessaloniki AHEPA, participating in many lectures and publications on issues of auditory processing. Disclosures: Eleni Kivrakidou has no financial or non-financial relationships related to the content of the proposed session.